It is refreshing to see a recent article by the hugely respected Professor Wiseman Nkuhlu, now Executive Chairman of KPMG SA, frankly and openly acknowledging the effects of the reputation-damaging conduct by rogue auditors in the name of KPMG SA in recent years. I like the fact that Nkuhlu was not simply ‘hastily generic’ in his acknowledgement of what went wrong. He specifically mentioned the errors that were made when auditors at KPMG SA failed to balance professional duties and client needs, he described the corporate and broader environmental context in which it all happened and, crucially, he shared what the company he heads – arguably the most reputationally hurt of the sector during the state capture economy – has done to ensure that none of it ever happens again. Frankly acknowledging what happened; explaining how it all came to pass, or was allowed to happen; being clear about what corrective measures were implemented – including possible punitive action taken against the perpetrators of the misconduct and compensation for affected third parties – and, finally, outlining the measures that have been put in place to ensure that none of it ever happens again, all constitute the basic principles of brand reputation management. “Accounting students and auditors”, he wrote in Business Day earlier in the week, “are taught that the purpose of issuing an audit opinion is to give confidence to investors, the capital markets and others who rely on the information companies provide. It is often at this point that problems arise, especially when auditors work in a highly competitive environment where lucrative client acquisition and retention is no less important than meeting client expectations at whatever cost. 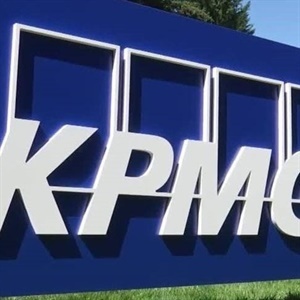 Now, we know that it is the “at whatever cost” part that has proven to be problematic, caused massive reputational damage, led KPMG SA to lose goodwill and the credibility generated over many decades, and to bleed clients in recent years. Looking back, I remember being worried when it was first announced that Professor Wiseman Nkuhlu would be joining KPMG SA. And I think he was also a bit worried, mindful of the impact failure would have on his otherwise sterling reputation. In a Sunday Times interview following his appointment as Chairperson of KPMG SA, he said that “if the intention of KPMG SA is merely to use my stature and reputation to appease stakeholders and stem the loss of clients, they are making a big mistake. I value my reputation, that’s all I have. “There is no way I can be compromised,” he had added. As a keen observer of, and commentator on the reputational havoc that was being meted out by involvement (inadvertent in some cases) by many companies in the broader state capture economy, I wrote at the time that ours would be a hugely different world if more corporate and political leaders had the same attitude as Professor Wiseman Nkuhlu. All indications were that he came into KPMG SA asking all the right questions about what had happened and why. But it remained to be seen at the time whether he would be given all the answers in a complete and honest way so that he could, in turn, advise the company on honest, transparent steps to take to begin a credible reputational climb back. I also wondered aloud about how far back KPMG SA would allow Nkuhlu to cast his probing eyes so that he could, one day, be in a position to stand on a public platform without flinching and, mindful of his sterling personal reputation, tell us and the world that all is good at KPMG SA. That time seems to be upon us; it is a good thing. 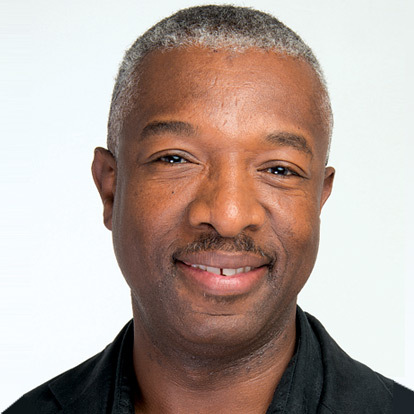 Thanks to the correct steps it has since taken, KPMG SA is now lucky to have lived long enough to be in a position to remind us of the words of Winston Churchill, as quoted by Nkuhlu, when he said that “…[we] have only reached the end of the beginning”. But as [we] look to the future with appropriate humility, we do so now also with renewed confidence, he added. Organisations, companies, and individuals lose their credibility due to reputational damage, from time to time. If they react the right way, as KPMG SA seems to have done in recent times, some manage to regain the public and broader stakeholder goodwill they need in order to refocus the bulk of their energy and resources delivering on shareholder value with one eye on public interest. Big brands, whether corporate, personal, or political, play a huge role in the shaping of country image and reputation. We should all hope that others follow in the footsteps of KPMG SA and return, only after doing the right thing, to play their part in helping South Africa regain lost market confidence in order to once again become the jewel of Africa, attract substantial foreign investments, high-spending tourists, lucrative multilaterally funded global projects, and finally set the plans it needs to build that illusive inclusive economy we keep talking about. If corporate and political South Africa are left to falter and fail, we all pay the price.